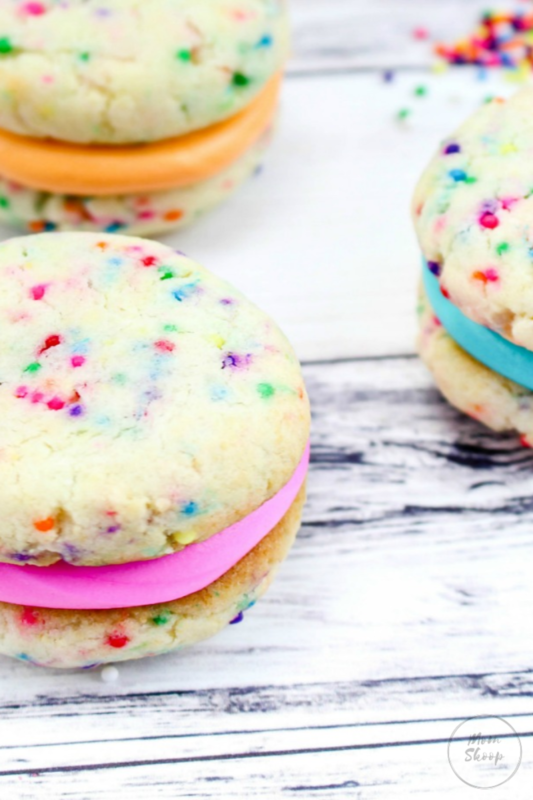 Rainbow Sprinkles Whoopie Pies are such a yummy and simple treat the whole family will love. The fact they are versatile also makes them perfect anytime! 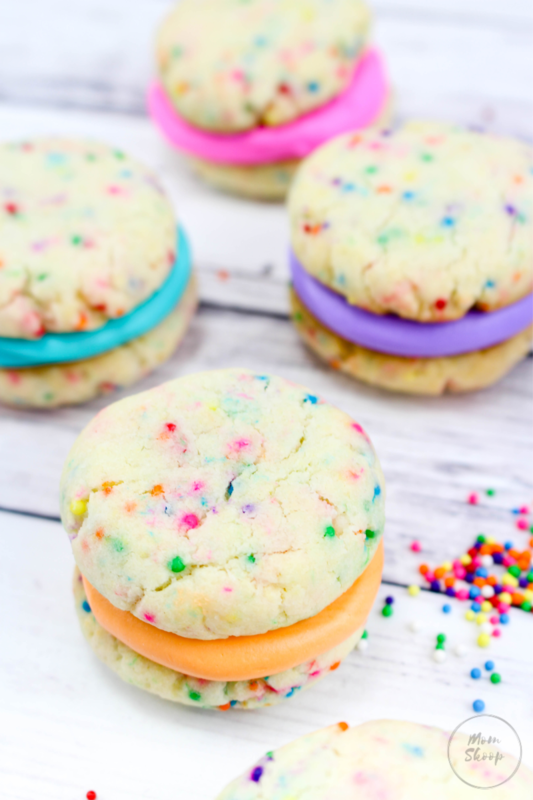 In a salute to Spring, childhood, and fun memories, I thought it would be fun to whip up this fun and simply the best whoopie pie recipe ever! WHY DO THEY CALL THEM WHOOPIE PIES? WHERE DID WHOOPIE PIES ORIGINATE? WHAT IS THE DIFFERENCE BETWEEN A WHOOPIE PIE AND A MOON PIE? One of the reasons this has become my favorite whoopie pie recipe is that it uses a boxed cake mix. Don’t get me wrong, I do love baking from scratch, but sometimes semi-homemade items work just as well, if not better. 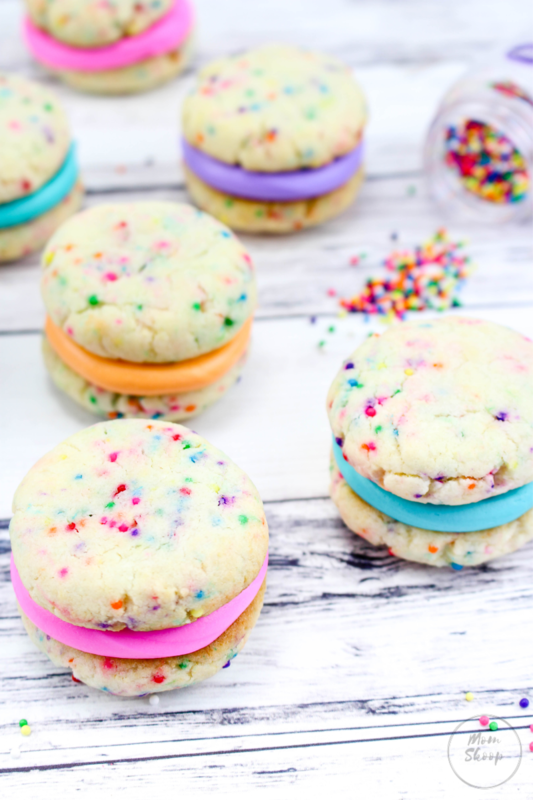 Another reason I love this recipe is that it is filled with Sprinkles! It’s not what you think! 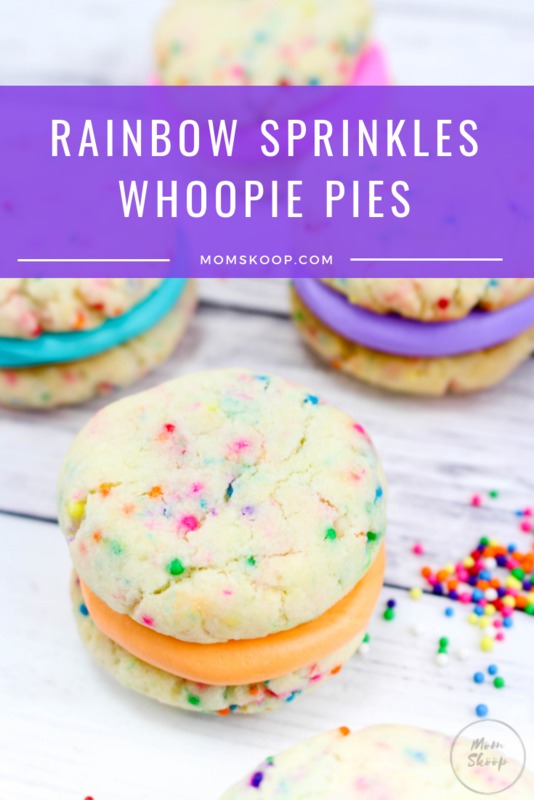 It’s honestly because, according to legend, when kids would find these delicious treats in their lunch boxes, they would yell, “Whoopie!” Originally these were also made from leftover cake batter. It is believed that they originated in Pennsylvania Dutch country. Whoopie pies are formed from two pieces of cake. There is a lot of fluff in the middle. Moon pies, however, are more like a cookie and also contain graham crackers. 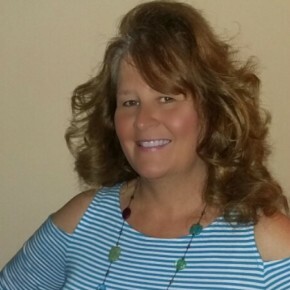 Looking for additional rainbow inspired posts? Check out this recipe! 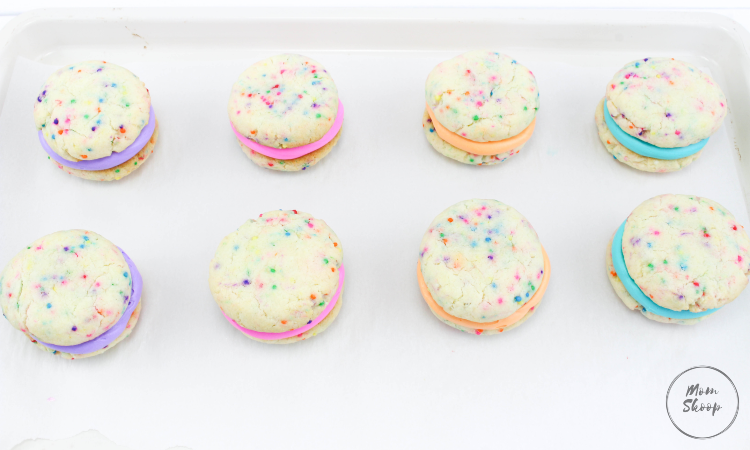 Here is our recipe for Rainbow Sprinkle Whoopie Pies. I hope your family enjoys them as much as we did! Tip: If you want to forgo making up frosting and the whole process of putting it into a plastic bag and worrying about if you cut the hole too big or not, may I suggest a product I recently discovered that I absolutely love? 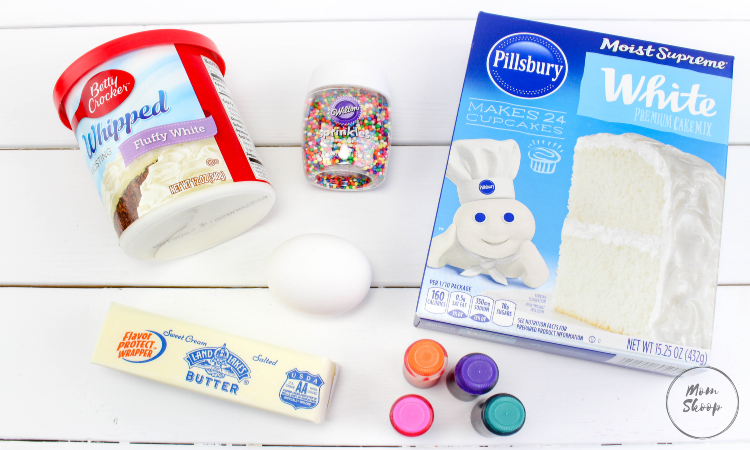 Pillsbury has came out with the a pastry bag filled with Vanilla frosting AND the tip is included too! They currently only have three flavors but I’m sure they will add more on! 2. 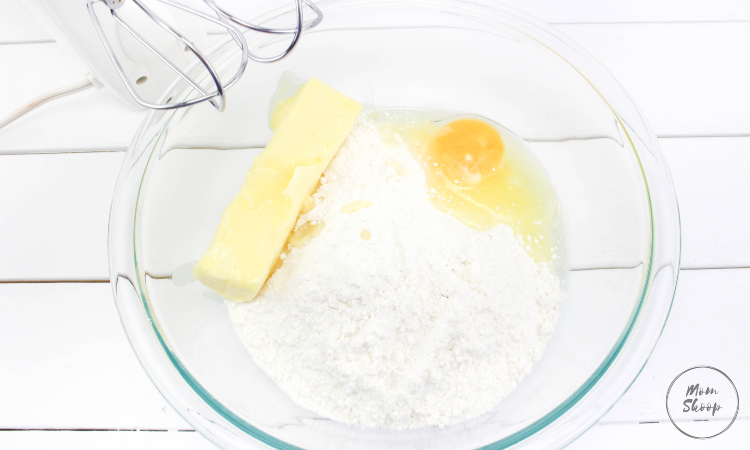 Combine the cake mix, egg, and butter in a medium bowl. Beat together until well mixed. 3. With a spoon, gently stir in the sprinkles, adding as many as you would like. 4. 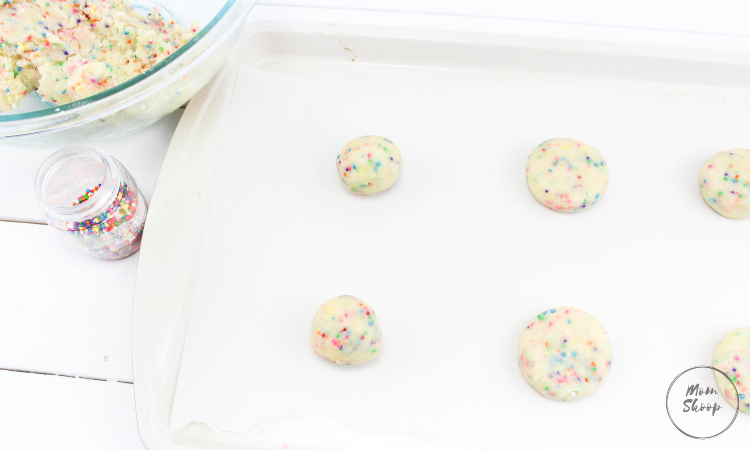 Roll into about 1-inch balls and place on a cookie sheet. 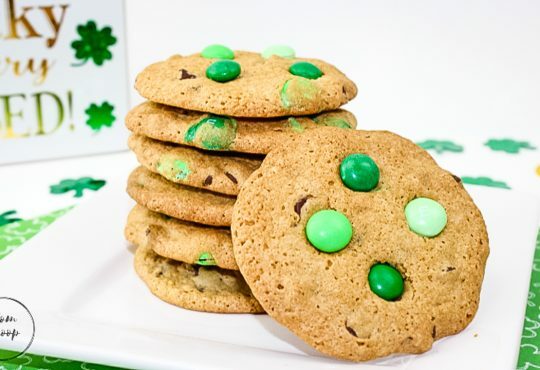 Lightly press the cookies down about halfway with the bottom of a cup and bake for 8-10 minutes. 5. Remove from oven and cool completely. 6. 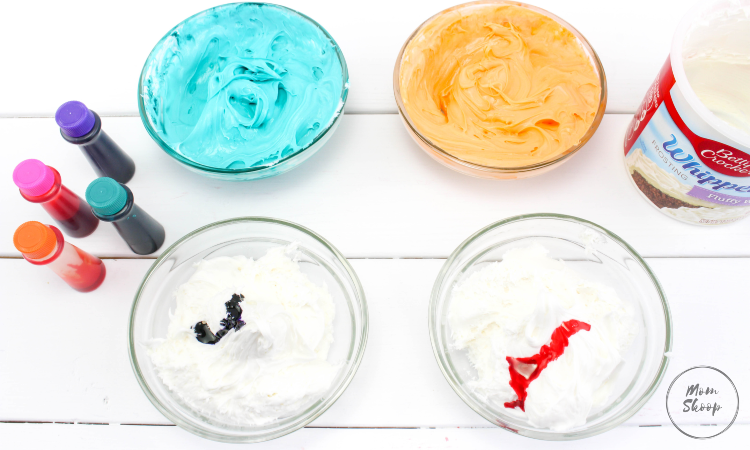 Divide the frosting and mix in 3 or 4 colors of your choice. 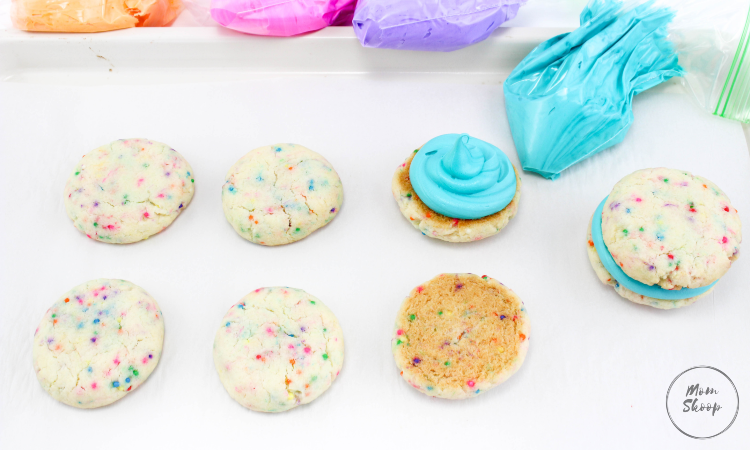 Place each color of frosting into a plastic baggie and snip the corner off to use for piping. 7. Pipe a round mound of frosting on the bottom of one cookie and gently press another cookie on top of it. Repeat this until all the cookies are frosted and topped with another cookie. 8. This will make about 10 whoopie pies. cookies down about halfway with the bottom of a cup and bake for 8-10 minutes. 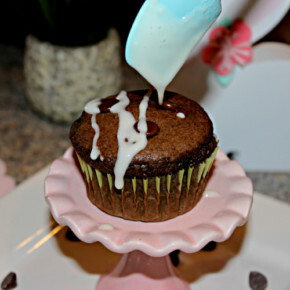 frosting into a plastic baggie and snip the corner off to use for piping. Those look too pretty to eat! I need to make some!